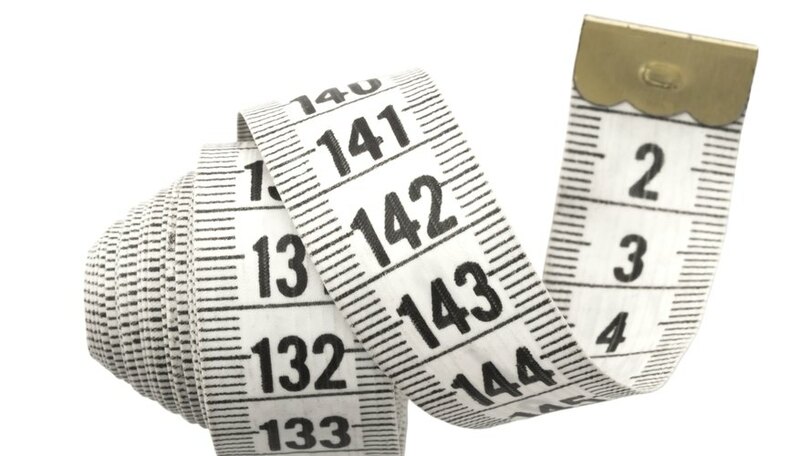 The metric system simplifies unit conversions, such as changing from centimeters to millimeters, by using multiples of 10. For example, snow depth uses units of centimeters, but a snow gauge expresses melted snow in millimeters; multiplying centimeters of frozen snow by 10 converts the measurement to millimeters, so you can then divide by 10 to estimate the amount of melted snow without manually collecting the sample. However, depth isn't the only measurement that uses centimeters or millimeters. You will also encounter measurements of area or volume in the lab, which are readily converted using the correct multiple of 10. Collect the data using the appropriate units. For instance, by inserting a snow meter into standing snow and reading the measurement, you obtain the centimeter depth measurement. Multiplying an area's length times width results in square centimeters, and multiplying a volume's length times width times height produces cubic centimeters. These latter two units are readily identified by the superscripts 2 and 3, respectively. Reference the appropriate conversion factor. Because there are 10 millimeters to a centimeter, the length conversion is 10. The conversion factor for square centimeters is 100 -- calculated as 10, for the length, times 10, for the width. Likewise, the conversion factor for cubic centimeters is 1,000 -- calculated as 10, for the length, times 10, for the width, times 10, for the height. Multiply the centimeters measurement by the appropriate conversion factor to convert it to millimeters. As an example, 2 cm multiplied by 10 converts the measurement to 20 mm. However, if the measurement was 2 square cm, multiply by 100 to convert to 200 square mm, or multiply 2 cubic cm times 1,000 to convert to 2,000 cubic mm. A simple method of converting from centimeters to millimeters is to move the decimal point the same number of places to the right as there are zeroes in the conversion factor. As an example, the 1,000 conversion factor for volume has three zeroes, so move the decimal point three places to the right. If a measurement uses scientific notation, such as 2x10^3 or 2x10^-3, move the decimal places to the right (positive exponent) or left (negative exponent) the number of places expressed in the 10's exponent. Doing so for the examples changes them into the regular numbers 2,000 and 0.002, respectively. Taylor, C.. "How to Convert Cm to Mm." Sciencing, https://sciencing.com/convert-cm-mm-4884152.html. 24 April 2017.